The normally closed (NC, Positive Control) regulator is used to modulate the intake valve closed to control compressor output. 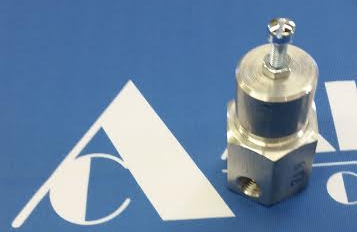 The valve is installed so that it senses compressor output pressure. The NC regulator stays closed up to a pre-set pressure. Once the valve opens, a pressure signal is output to control the compressor. The normally open (NO, Negative Control) regulator is used to modulate the intake valve (or others) open to control compressor output. 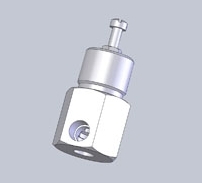 The valve is installed so that it senses compressor output pressure. The NO regulator stays open to a pre-set pressure sending the compressor output pressure to the control system. Once the valve starts closing, the pressure signal that is sent out, is proportionally decreased compared to the compressor output pressure. control opening or closing pressure of the valve.